Christmas is one of the most festive times of the year, but it doesn’t all have to be lunchtime roasts and fruitcake. Here are our favourite upcoming events of the 2018 Christmas season. 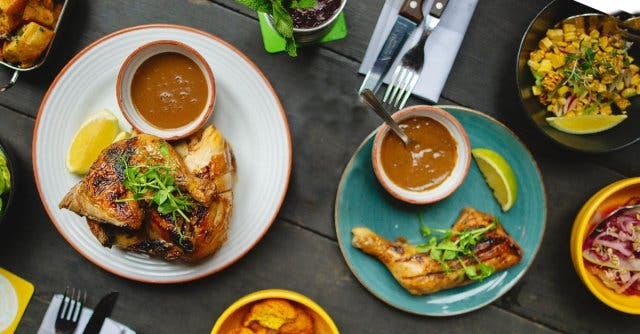 The guys at Roast & Co want you to avoid the hustle of Christmas Day lunch with their Christmas Feast Special of whole Elgin deboned free-range chicken stuffed with sage cous cous, alongside chicken fat roasted butternut, lemon honey buttered leeks and an orange glaze. Their a la carte menu will still be available, and they’re also bringing the Christmas gees with lighting, tinsel and crackers. To secure your table, pre-book with Roast & Co via email, and quote "CT Magazine" in your booking to receive a complimentary dessert while enjoying an afternoon of Christmas cheer at Roast & Co. Chef Matt Manning quickly made a name for himself through his Chef’s Table events. Now, you can experience the talented chef’s dishes at a permanent new residence in Bree Street called Grub & Vine, accompanied by The Chef's Studio and private wine merchants Frogitt & Vonkel. Grub & Vine is open on Christmas Eve and on Christmas Day. Read more about Grub & Vine. Christmas Eve: Order from the à la carte menu or opt to Grub Up with the five-course tasting menu, featuring wines curated by Grub & Vine’s sommelier. Price: R200 deposit to secure the table. 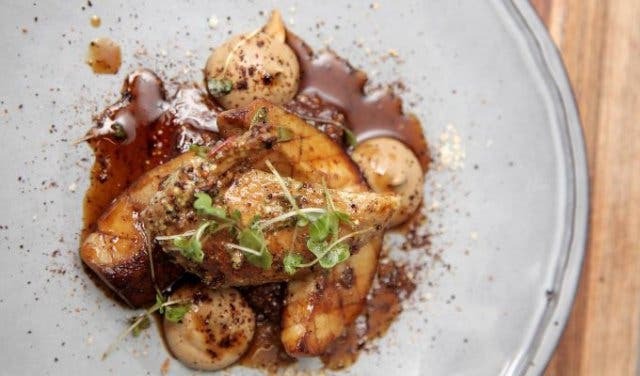 Tasting menu: R295–R795pp. Or prices according to menu. Booking essential. Christmas Day: Indulge in a five-course Christmas lunch set menu which offers a contemporary and elegant take on the Christmas classics, with a complimentary glass of bubbles to start your meal. 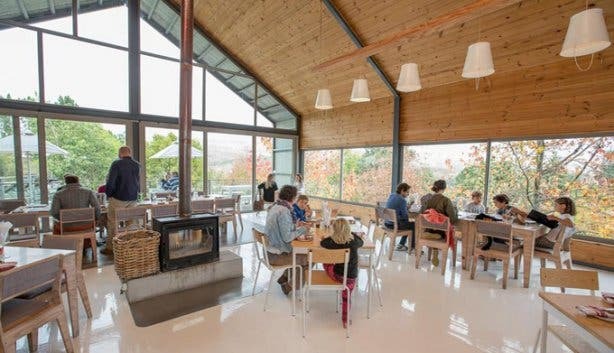 Price: R1250 pp or R1950 with wine pairing (children R600). Booking essential. Book your spot at the AC Hotel by Marriott Cape Town's family-style sharing table this Christmas for a festive lunch. The day will kick off with an array of tapas and MCC, or sparkling grape juice. 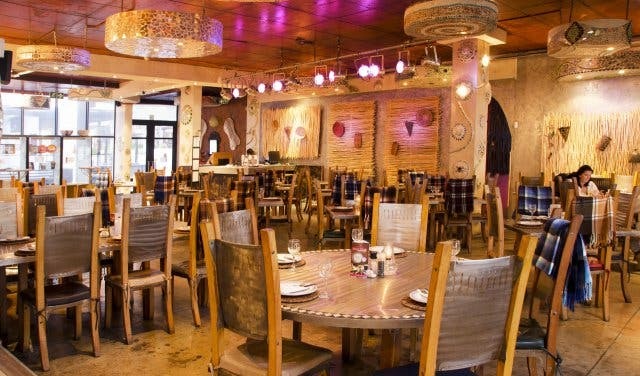 Lunch will then be served in an authentic sharing-style at each table. 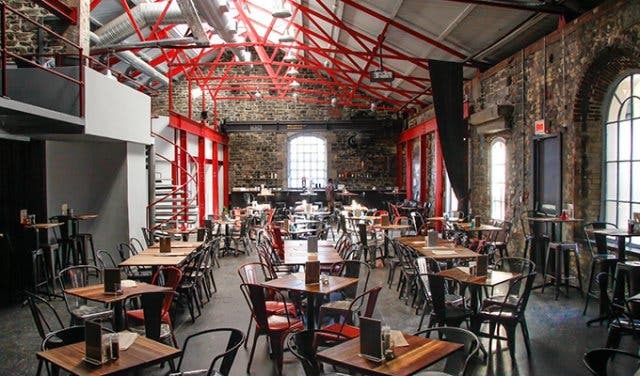 You’ll be able to enjoy the likes of freshly baked bread and charcuterie to start, a variety of proteins as well as vegetarian choices for the mains accompanied by more than five delectable sides. The day will end off with an array of choices for dessert served with coffee or tea. Classic, classy and delicious. 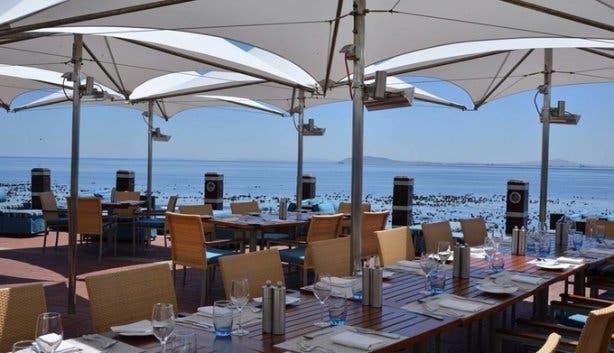 Rally the family for this feast of a lunch at Moyo Blouberg. Your seat at the table includes a welcome drink, live entertainment, Christmas hat and crackers. Starters will include the likes of crisp Moroccan flatbread, pan-fried chicken livers and cheese and spring onion samoosas. You can expect traditional Christmas gammon, oxtail, Moroccan chicken plus Senegalese line fish during the main meal. 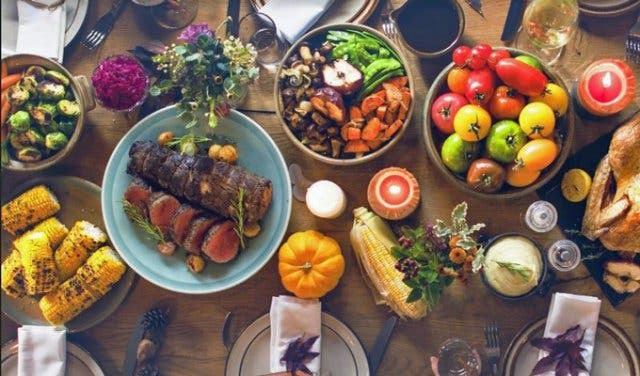 And arguably the best part of the meal, dessert, will be served buffet-style and include some delicious options such as red velvet beetroot cheesecake, mini Christmas fruit cakes, mixed berry trifle cups, chocolate brownies, malva pudding, bread and butter pudding and, to keep it light, fresh fruit skewers. Book soon to avoid disappointment. 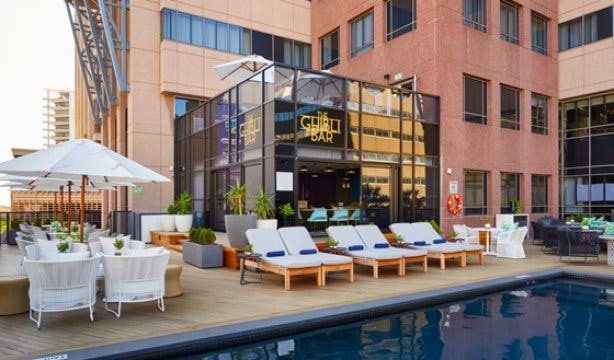 The RBG Bar and Grill at Park Inn by Radisson has something better than your average Christmas lunch and dinner in the form of a set menu on 24, 25 and 26 December 2018. Tuck into a chicken and pistachio terrine wrapped in parma ham with a wild mushroom compote to start, a roast entrecote bordelaise (rib steaks in red wine) with pan-fried greens and a black cherry jus as the main event and a pumpkin pie cheesecake served with a chantilly cream and candied pecan nuts to sweeten the deal – for just R395pp. Kids under 12 can enjoy for just R198pp. They’ll be serving Veuve Cliquot bubbly on the day too at R190 a glass, R499 a 375ml bottle and R999 a 750ml bottle. Vegetarian options can be arranged when making your booking. 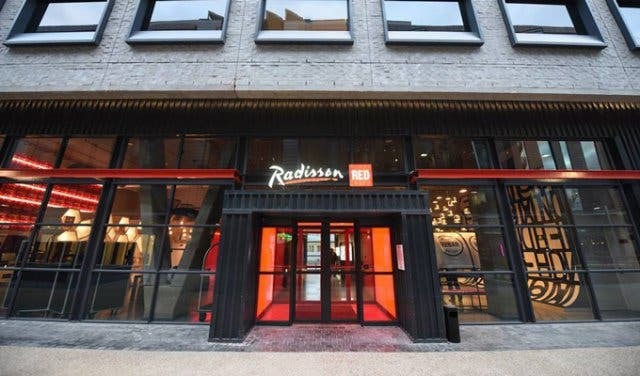 The Radisson RED is all about fun, and they’re not cutting back when it comes to Christmas. 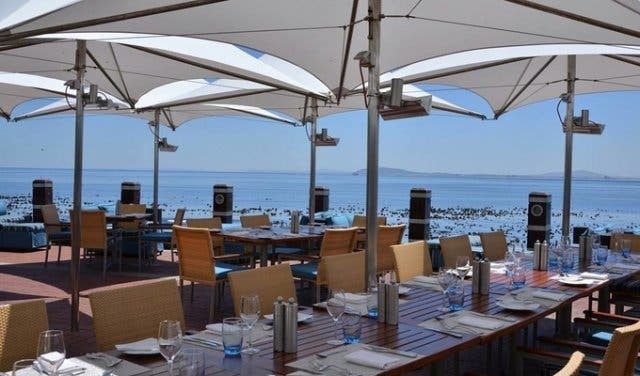 If you decide to dine at the hippest hotel on the waterfront, you can expect a Christmas lunch served family-style, complete with crazy RED crackers, eggnog on arrival and a RED Christmas surprise, all for R695pp for adults and R350pp for kids aged 5–16. Specify any of your dietary requirements when making your booking – there are vegetarian and vegan options available. Cost excludes drinks which are for own account. Bookings are encouraged to avoid disappointment. 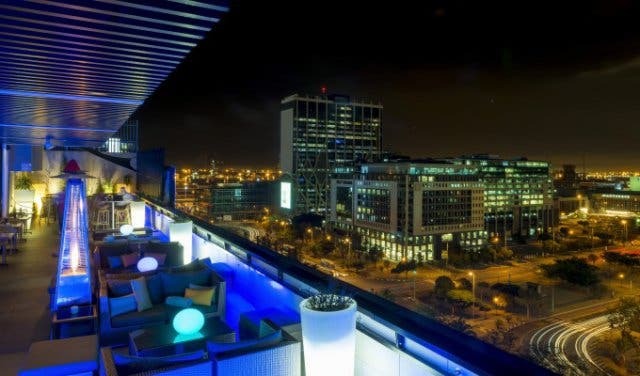 Try a Japanese braai on Christmas Eve at Tomo. They sometimes have special offers for CTM readers, so please ask them about specials. Read more about Tomo. The festive season is a time for merriment, so laugh your Christmas Eve away at nowhere other than Cape Town Comedy Club. The club’s Christmas Eve special features Alfred Adriaan, all the way from Joburg, who will be headlining the evening, Harold van der Merwe (opening act), and supporting act Tracy Klass. Dalin Oliver will be hosting the evening. The show starts at 8:30pm and dinner and bar is open from 6pm. Whether you’re keeping things casual this Christmas or you’re planning a damn merry festive bash, there’s one thing you’ll need for both – wine. 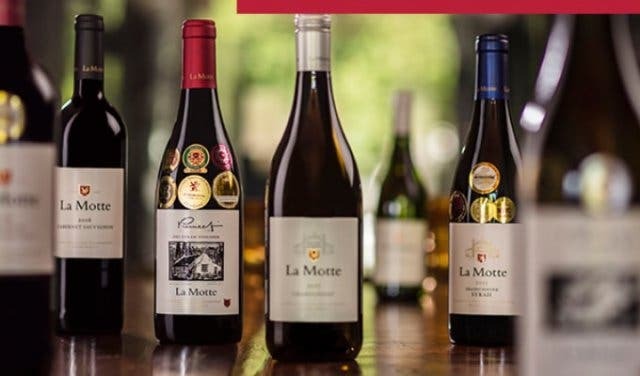 Good thing La Motte is offering free delivery on all wine orders until 14 December 2018. Use the code FESTIVE2018 at check out to qualify for free delivery. Tip: a bottle of wine makes for a great Christmas gift too. We won’t tell if it’s last minute. Don’t expect an average Christmas buffet this year as La Paris pulls out all the stops to recreate your favourite Christmas classics as decadent dishes. Tuck into vegan bowls, wholesome salads, fresh seafood, roast chicken, Karoo lamb and so much more (we won’t give it all away here). You can also expect live music, festive decorations, children’s games on the lawn and more on the day. Adults can enjoy the buffet for R850pp and it costs R250pp for kids aged 4–11. Bookings essential. 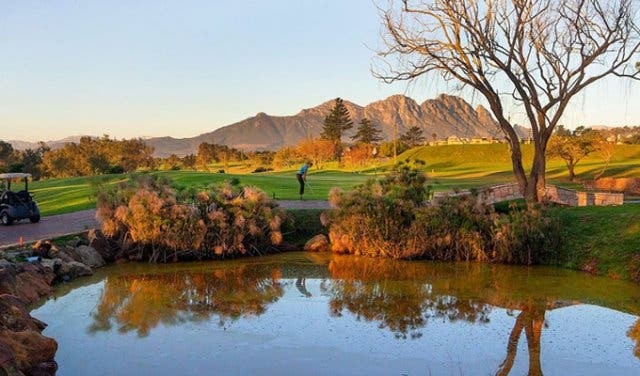 This golf and wine estate tucked away in Stellenbosch will be dishing up a Christmas lunch buffet with both classic and unique delights on Christmas Day for R475pp and R215pp for kids aged 5–12. 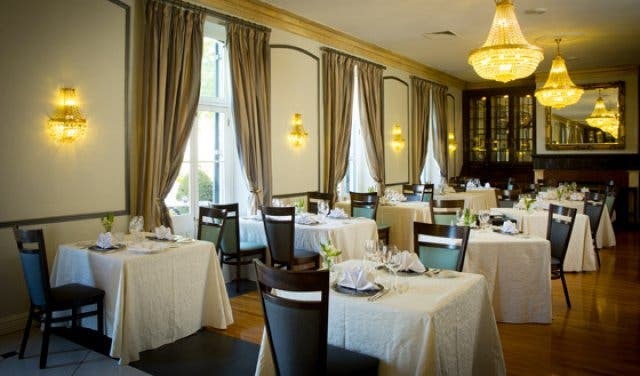 You can look forward to the likes of pickled beef tongue with honey and mustard sauce and sweet potato and ginger soup to start, oxtail braised in red wine and garlic and rosemary potatoes, just some of the main course options, and sago pudding with an apricot glaze, traditional trifle and a few other sweet choices for dessert. Prepayment required. A gratuity of 15% will automatically be added to your bill. 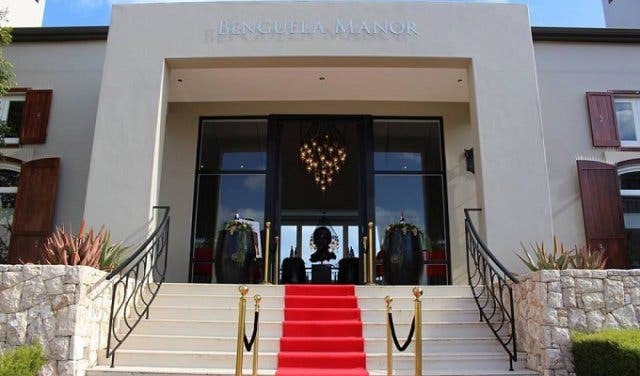 The Manor House of the Grande Roche Hotel in Paarl will serve up a superb buffet with the likes of prawn carpaccio and dark beer-glazed pork roast for both Christmas Eve dinner and Christmas Day lunch for R865pp and R432 for kids under 12. Individual bookings will be taken between 12:30 and 1:30pm on Christmas Day, Christmas Eve will just be dinner. Plus, the swimming pool closest to the restaurant will be open to use for the ideal summertime Christmas celebration. Tuck into a Christmas Eve dinner for R695pp, or a Christmas Day delight for R895pp at the African Pride 15 on Orange five-star hotel. Christmas Eve will see a delicious dinner menu featuring the likes of red wine-glazed pork belly, wild mushroom risotto, a raspberry buttermilk parfait and more. Christmas Day will offera rather large array of choices with mouth-watering dishes such as maple-glazed gammon, a chilled summer pea soup, prawn and avocado cocktail and more. Children will be able to order off the kiddies menu. The Christmas Eve dinner includes a welcome drinks and party favours. The Christmas Day lunch includes welcome drinks, a gift and party favours. 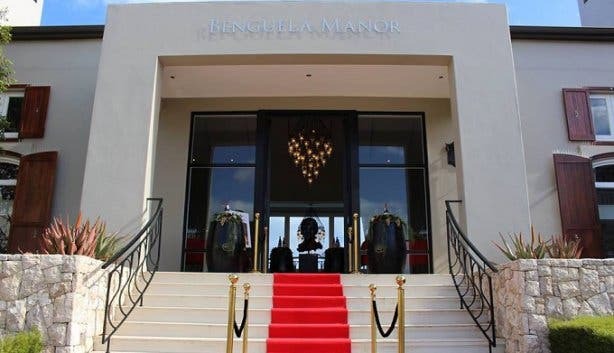 Opt for something on the side of luxury with a unique three-course Christmas lunch at Benguela Brasserie for R750pp, plus a kids menu (ages four to ten) for R250pp. 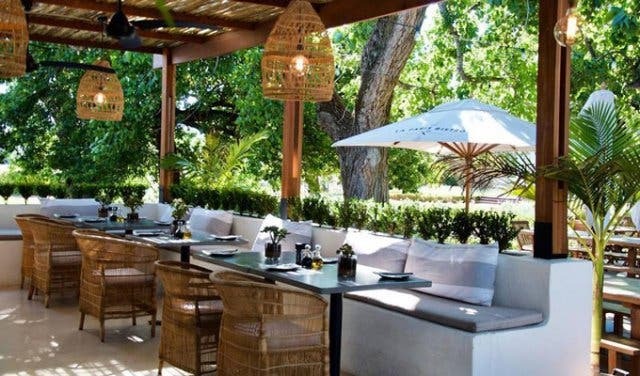 Prepared by executive chef Kelly-Anne Pietersen, you can expect the likes of smoked fish terrine with pickled beetroot and a beef fillet potato dauphinoise, plus trifle with a champagne jelly at dessert time. A 50% deposit is required to secure all bookings. 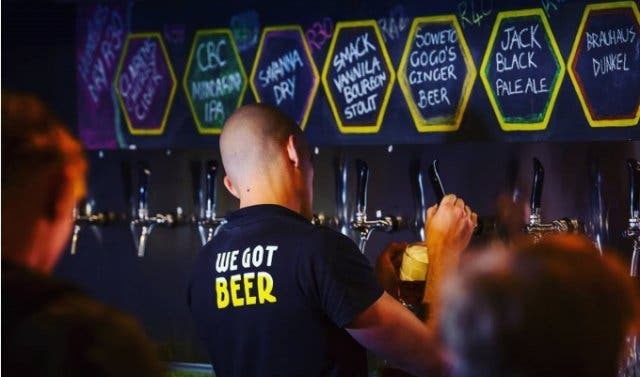 Celebrate a beery Christmas at Beerhouse on Long with a two-course lunch for just R150pp. The beer-lovers spot will be serving up classic smoked beef and gammon, roasted vegetables and potatoes and, of course, malva pudding and ice-cream. Don’t miss out on this legendary lunch and book a table soon. There’s something for the day before, the day of and the day after Christmas this year at the Radisson Blu, and a scrumptious feast is only part of it. Tuck into a three-course Christmas Eve dinner (plated starter, buffet main and plated dessert) along with live entertainment to keep your spirit merry, a welcome drink to put you in the festive mood and a gift as well as crackers to keep things, well, Christmas, all for R850pp at Tobago’s Restaurant and Terrace. On Christmas Day, there’s a three-course buffet, a welcome drink, live entertainment and, of course, gifts and crackers at Harbour View and Tobago‘s Restaurant for R995pp. 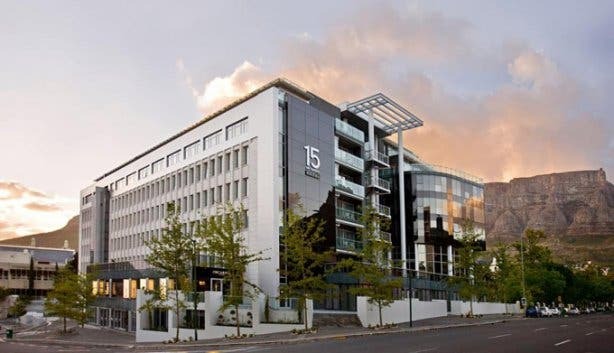 Radisson Blu is keeping things classic with a Day of Goodwill Braai (26 December), but it’s not your average broodjie and beef. Indulge in a three-course braai buffet along with live music and a priceless vibe for just R450pp. Kids under 12 eat half-price and kids under 5 eat for free. Bookings essential. Look no further than in the heart of the city for a super cool and mod Christmas Eve dinner and Christmas Day lunch. Radisson Blu Hotel & Residence will be doing Christmas Eve a little fancier with an amuse bouche (think caramelised figs and parmesan tacos), starters, soups, a main and dessert. 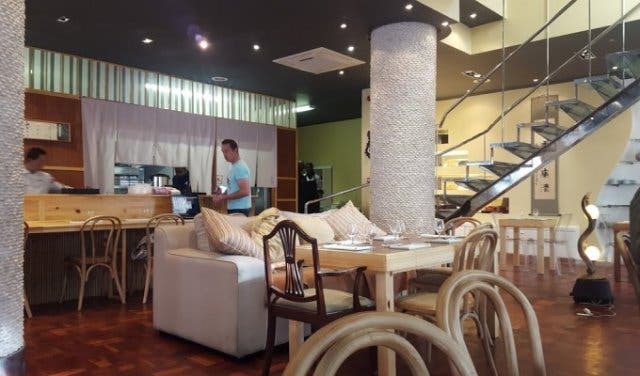 You’ll also get your choice of tea or coffee, all for R300pp. On Christmas Day they’ll be serving up an awesome lunch buffet where you build your own salad, tuck into tasty antipasta, pick and choose from a selection of seafood, the carvery, offering the likes of maple gammon and herb-crusted beef, or some classic Christmas main dishes. Plus make your choice from over 15 dessert options, including an ice-cream and candy station, because … it’s Christmas. This Christmas Day feast cost R495pp. Bookings essential. 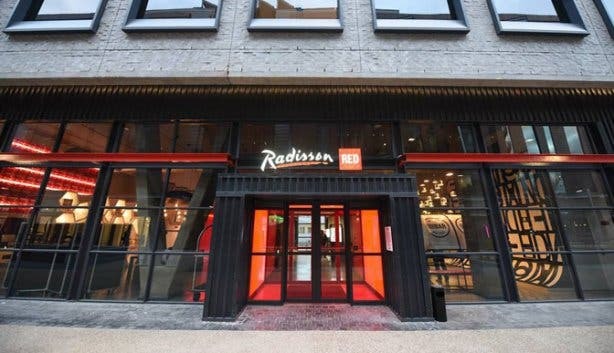 Radisson RED is doing Christmas the only way they know how this year – totally festive and crazy. Enjoy their Christmas lunch served family-style (including vegan options) along with RED crackers, tasty eggnog on arrival and a super exciting RED Christmas surprise. Kids under 5 accompanied by an adult eat for free. Cost excludes drinks, which are for your own account. Price: R650pp and R350pp for kids aged between 5 and 16. Take advantage of South Africa’s warm Christmas weather and celebrate the festive season in the Winelands. Le Pommier Wine Estate is offering a delectable Christmas lunch on Christmas Day with a menu featuring classic dishes such as slow roasted leg of lamb, honey-glazed gammon, old-fashioned pumpkin fritters, malva pudding and a customary trifle. Booking essential. What is festive season in South Africa without a braai? 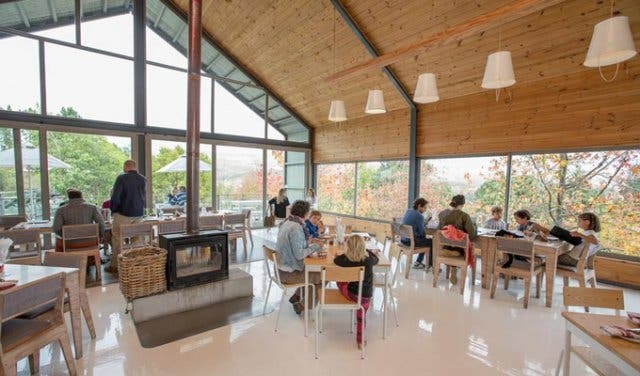 Head to Grabouw for the ideal summertime setting in the beautiful Elgin Valley. Old Mac Daddy hosts spitbraais every Sunday and this bountiful buffet will be happening right before Christmas on 23 December, a sort of Christmas Eve-Eve. 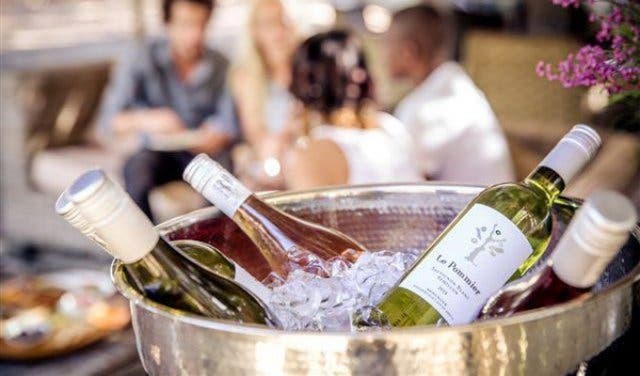 Besides a delicious (and affordable) spread featuring the likes of Greek-style lamb chops, rosemary baby potatoes and malva pudding, there’ll be drink specials, music, activities for kids and more too. They’ve also got vegan and vegetarian options. Book a table to avoid disappointment. Have you been naughty or nice this year? Let Santa decide in Santa's Village at the V&A Waterfront. Looking for the perfect Christmas gift? Find something unique at these Christmas markets. If you’re really stuck for gift ideas, why not take a look at our big summer gift guide. Don’t waste a minute of the summer – here’s a list of stuff to do this December. Our top ideas for local and fun gifts and experiences on our Festive Christmas gift guide. Make a day of it and book in advance for a full day of Christmas cheer at Roast & Co (hyperlink http://roastandco.co.za/).